Beat inflation with real estate or business opportunity. There are five ways to beat stagflation. 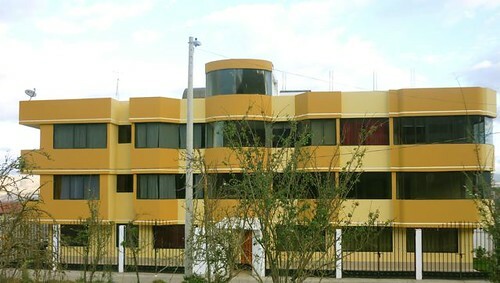 There are business opportunities in Ecuador also. 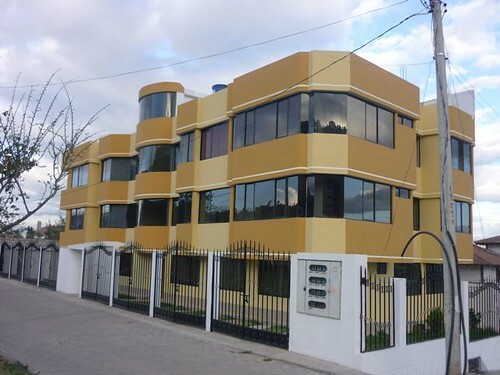 Learn how to market your products and services in Ecuador. 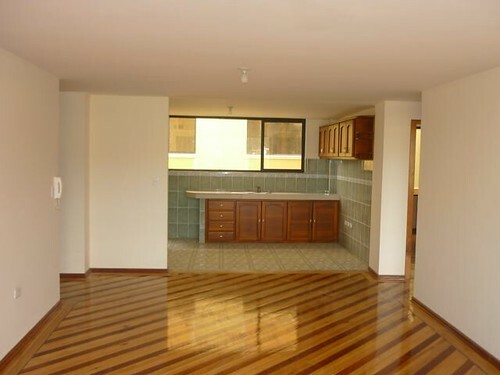 Here is a special opportunity in Ambato, Ecuador real estate. 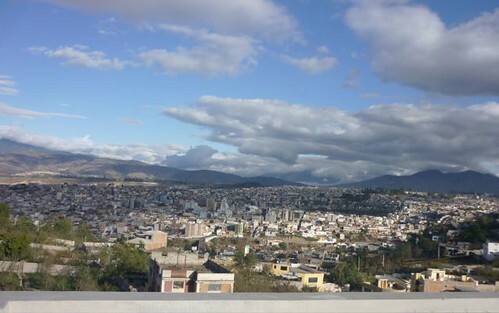 Since Merri and I arrived in Ecuador more than 15 years ago, a flood of expats have moved in, most going to the coast or near Cotacachi and Cuenca. 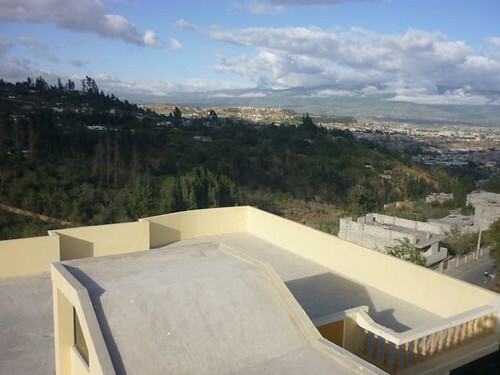 This has caused real estate inflation… but there are still interesting Ecuador real estate opportunities in other beautiful parts of Ecuador such as Ambato. 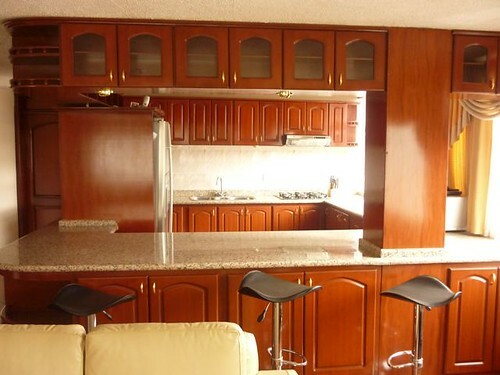 Here is an Ambato condo for sale. 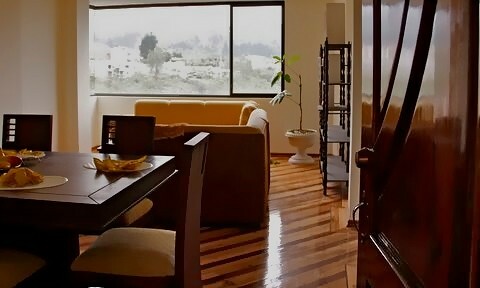 When Merri and I first moved to Ecuador we lived for over a year with an indigenous community near Ambato. 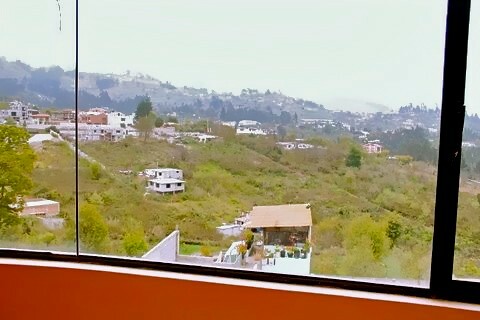 We loved the beauty of this land and its location in the middle of Ecuador. 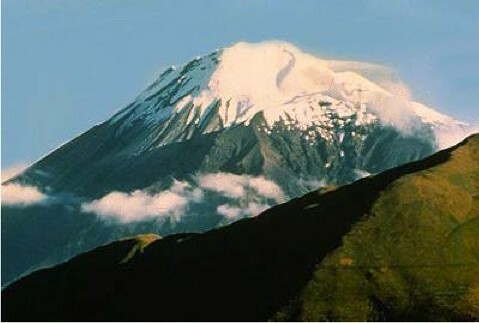 Two beautiful mountains on the way to Ambato from Quito are Cotapaxi and Tungurahua. 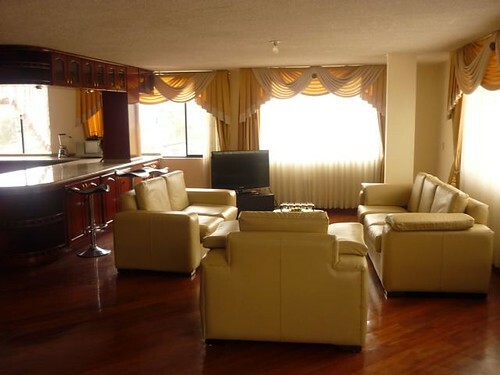 The full name of Ambato is San Juan de Ambato and it sits on the banks of the Ambato River. 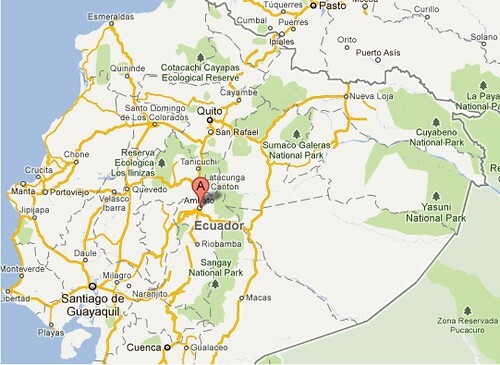 This is the capital of Tungurahua province at an elevation of 7,500 feet. The population is less than 200,000 so it is a fair sized city. 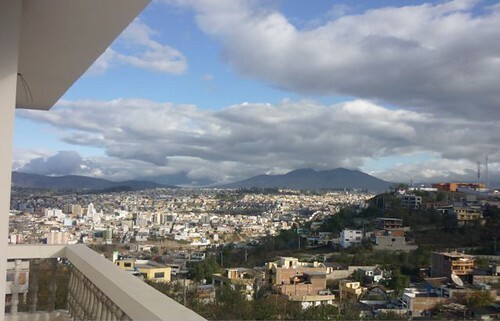 Here is Ambato seen from several Ambato condos for sale. 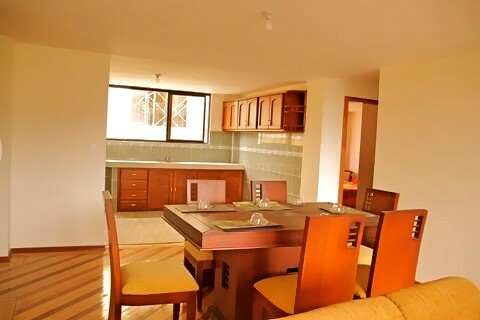 Our friend, Dr. Glenn Stirling, a doctor as well as a professional photographer, visited Ambato and photographed these Santamaria condos. 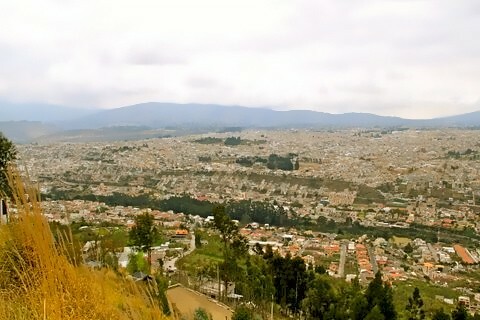 No cable cars, Golden Gate or Bay Bridge comprise Ambato, Ecuador. Many of its main roads North of the river are dug up – likely a long project to upgrade. With its hills and valleys, you could swear you were in San Francisco, California (just without the bay). Views are as common as a smile and a friendly wish in this ultra safe city with a small town feel. With 180,000 people, there are enough twists, turns, cliffs, river valley and hills to compete anywhere. 330,000 people live in the greater area. This city is alive, only needing a half dozen more bridges across the volcanic river dividing everything you need on both sides. Saturday night found us hungry (Tenemos hambre). La Hue’k, a tiny hole in the wall, (with the best BBQ chicken you’ve ever had) combined ensalata (salad) and papas fritas (French fries). It was bye bye hunger. Less than $20 USD (Ecuador uses the US dollar) fed two of us happily. Sunday morning’s coffee? Nope! Virtually all restaurants are closed at 7:30-8:00 A:M. Most closed all Sunday. Cerviche (delicious fish soup) was breakfast (choice of two). 3 people, each with Cerviche and a few drinks – $12.00. 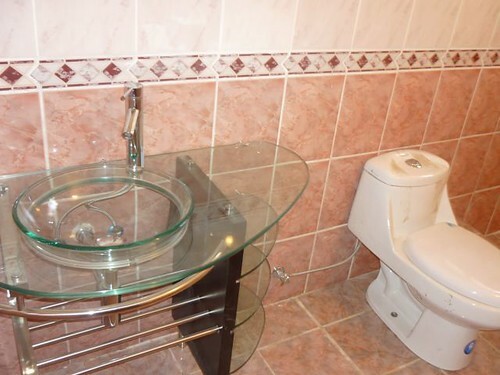 Delicioso. 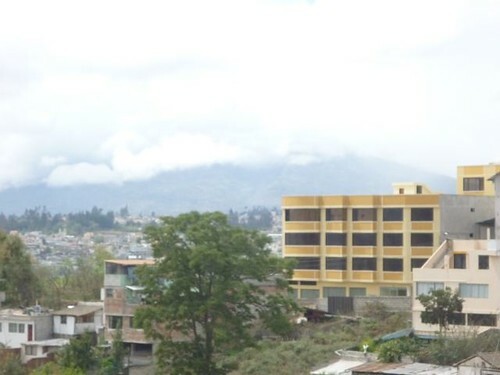 Ambato’s narrow streets are reminscient of Asia and San Francisco combined – old, charming and interesting. 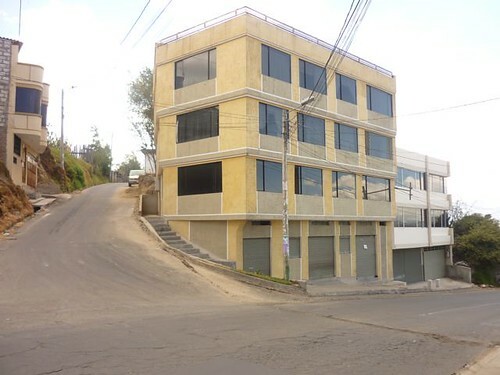 We stayed in Pinllo (Pronouned PIN-JO, a suburb) half way up a hill leading to Ambato Mocha. This is a massive, beautiful and ultra clean Provincial Park 3,300 Square Km. 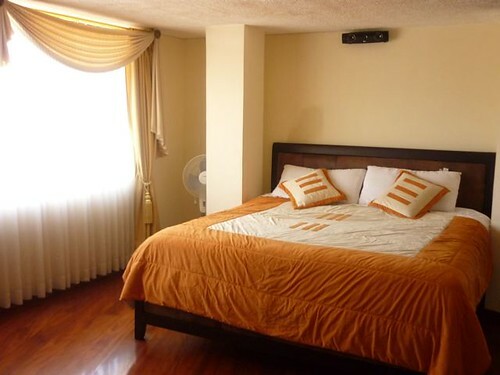 (1500 Square miles) just minutes from Quisapincha (a small leather goods manufacturing town) with some of the world’s most fertile soil in between. These buildings consist of ten Condos; six one building and four on the other. 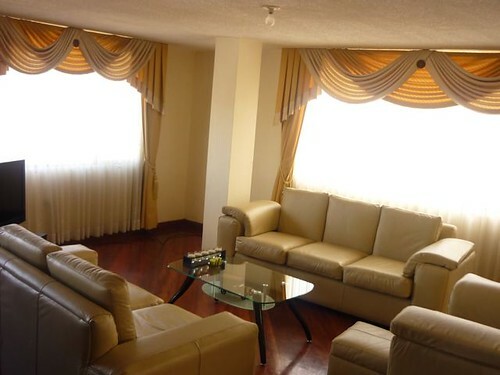 These gorgous and luxurious condos with two or three bedrooms. 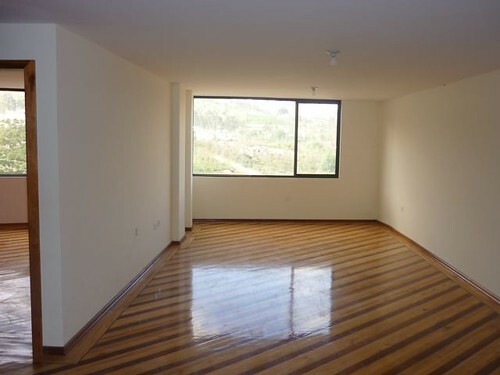 All Condos are designed to have the beautiful city of Ambato and mountain views. Either way, they are both relaxing and stupendous. 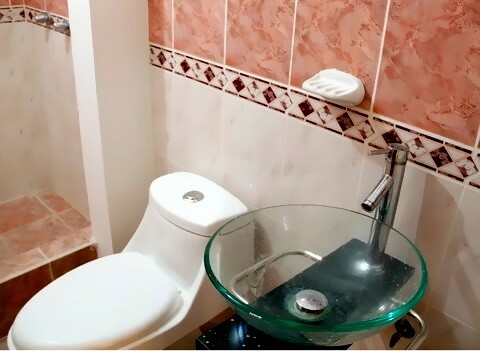 The two bedroom condos also have two bathrooms. 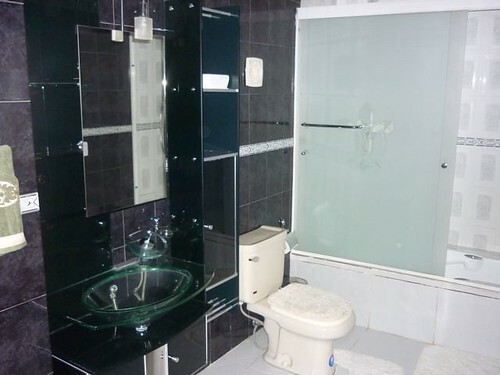 and the three bedroom condos have one extra bathroom. 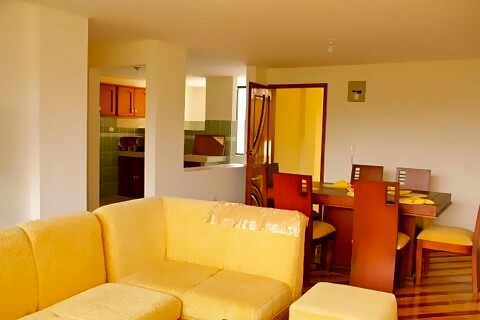 All units have their own private laundry room; spacious kitchen and..
dining room followed by an awesome living room space. 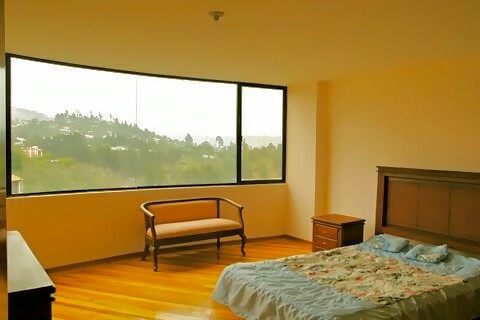 I designed these Condos so each and every room has great views. There is light coming from every angle and the views are amazing. 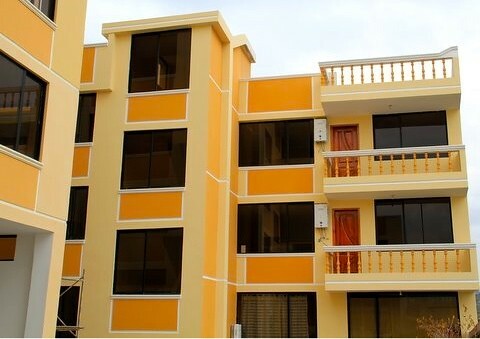 Four Condos have access to a balcony. 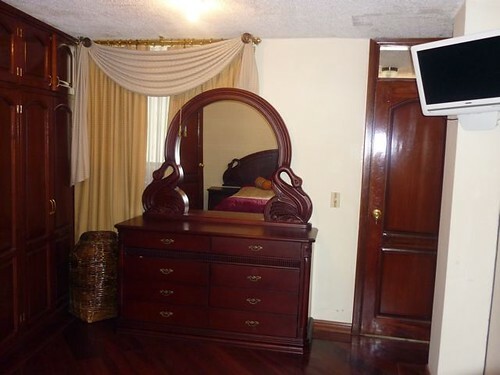 The Santamaria’s finishes are spotless and top of the line. 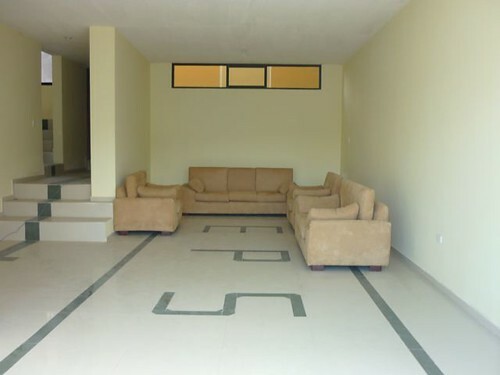 The main entrance consists of a glass door which was imported from Brazil and installed by Efairis; a Company that focuses and has pride in their work. 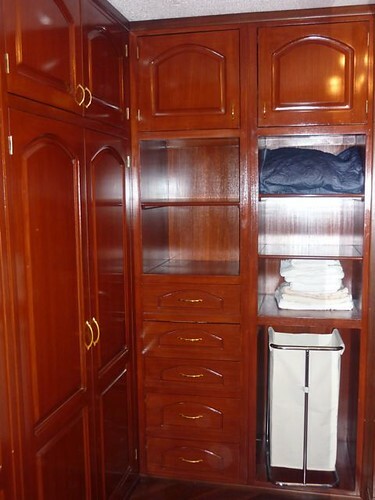 The entrance is followed by a very large guest-reception area and with its own guest bathroom. The garage entrance consists of a remote control key access steel door. 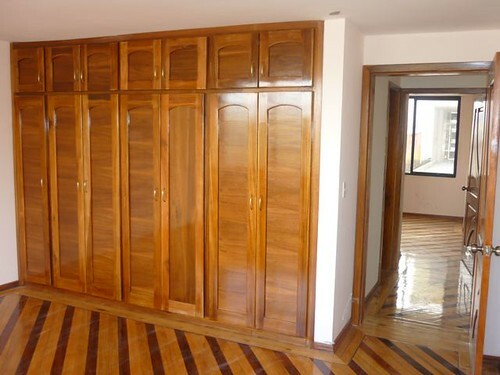 Each condo consists of hard-wood floor finishes and customed made to fit – closets; also hard-wood. 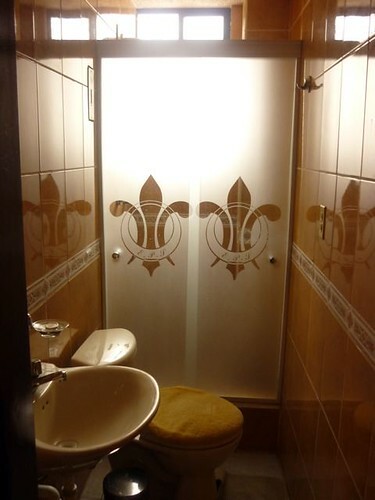 These were customed made and installed by Madeca; another quality Company. 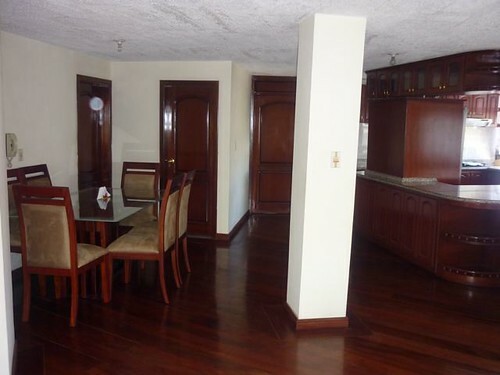 Each Condo is priced to sell. 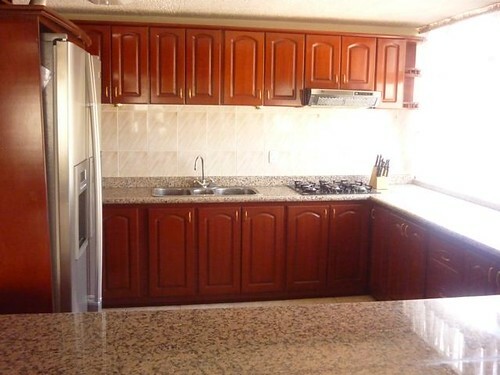 The starting prices are from $65,000 to $75,000 in Santamaria I. 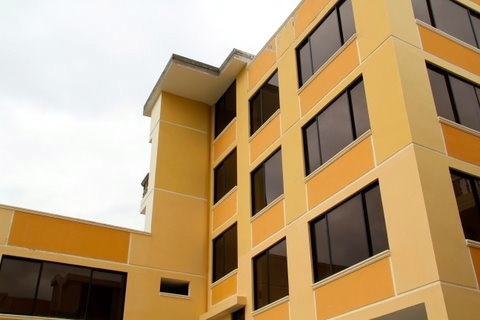 This is the front building. 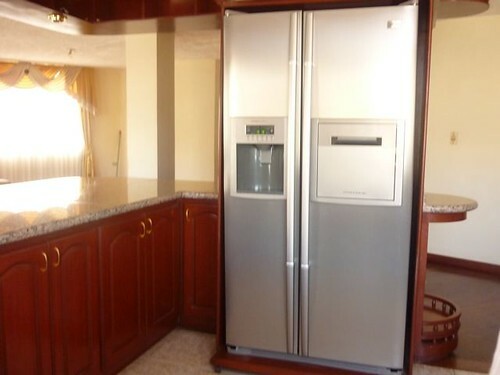 Santamaria II starting price is $59,000 to $64,000. 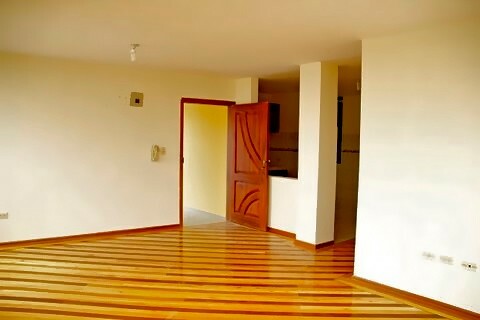 There has been a growing rise in expat real estate sales pushing up the price of real estate in Ecuador… but not evenly. 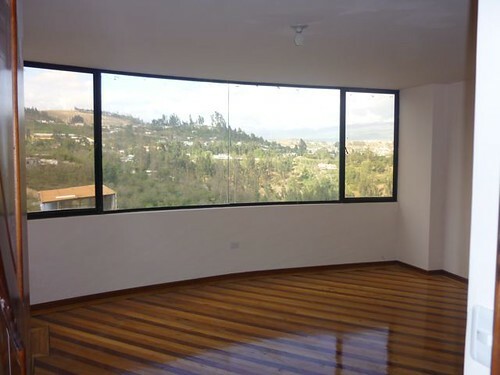 There are places where prices remain especially low and readers would do well to consider real estate in an around Ambato. 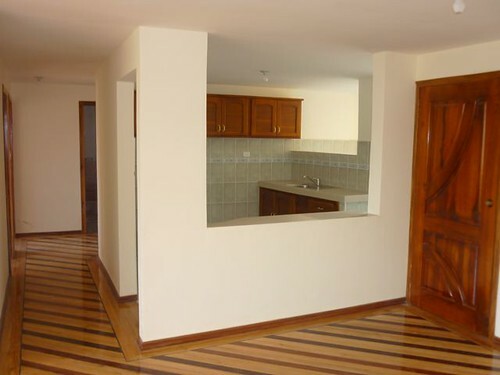 Ecuador Living Club members can obtain seller details for these Ambato, Ecuador condos at their password protected site by clicking here.